Features: So light, so beautiful. 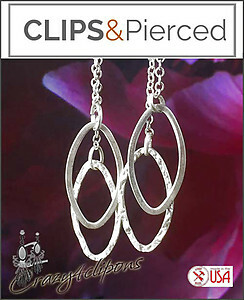 Sterling silver oval/leaves dangle from sterling silver chain for this simple yet elegant pair of earrings. 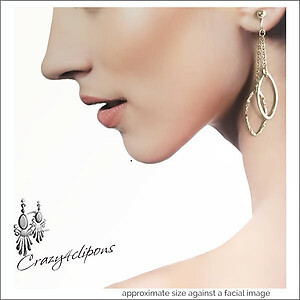 Ovals are a combination of smooth and hammered styles. Very Chic!